What do you think of the Spike/Faye pairing? Should Cowboy Bebop have lasted mais than one season? Who was your favorito bounty? What do you think of the whole Spike/Julia plot? The fans pick: Works for me. 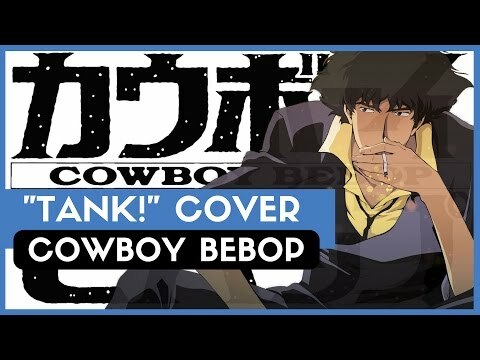 Have You Seen EVERY Cowboy Bebop Episode? Hey! 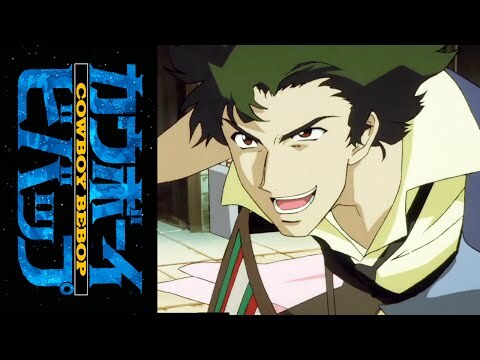 Can someone cadastrar-se my new Cowboy Bebop forum? How do you imagine Spike & Jet met? Will u cadastrar-se my spike spiegel club? The pain was excruciating. His head felt light and fuzzy and the rest of him felt like it had been mauled por a tiger. He stumbled to his feet, almost slamming back to the ground. The wide-eyed Syndicate members simply stared, unsure of what to do. They dissipated, unwilling to try and mess with the guy that had supposedly killed Vicious. Spike managed to get to the door. His eyes blurred and he though he saw... Faye? Sorry, but I really need to put this out in public somehow. This is NOT por me. I decided to borrow these fã fictions from my childhood friend. Sorry, Sarah. I do not own Cowboy Bebop in any form. I do not own the characters, nor had a part to play them. So please, don't sue me, Bandai and Sunrise. This is based off of the 2003 movie, Daddy dia Care. I don't remember the movie often, but I know it's about this guy who takes care of kids and that's exactly what this story's going to be about. Even before I finished watching the series, I saw people saying that Spike dies in the end. That's what I get for googling Cowboy Bebop. On a number of the question/answer sites out there, people asked the question, "Did Spike Die?". Numerous respostas said "yes, he's dead" and you'd see an occasional "it's ambiguous." I saw the pergunta being asked in a number of places, getting the same answers. This got me scratching my head. If he so obviously died, why do people have to ASK if he died? I remember it well. Last night, I had had a tantalizing dream about Shaggy and Daphne. I went to Universal CityWalk that night and bought a model of the Monkeemobile. I was currently in my segundo Monkees craze. Oh, yeah, and later that night adult swim would be showing the last episode of Cowboy Bebop. Last week, they had showed part one of “The Real Folk Blues”, and it was thrilling. I couldn’t wait to see how things resolved. These guys are making a Cowboy Bebop based web series called Backalley Strut. It looks pretty friggin' awesome! LOL. This is so funny! Supervillians with bounty hunters... OMG LOL! I've took the time to make a cowboy bebop based role playing site. Because man that show is good. an answer was added to this question: How do you imagine Spike & Jet met? a pop quiz question foi adicionado: What is the proffession of Edward's father. What was Spike doing after he ate the bad comida in the fridge?